Tubex Shrub shelter Plus are a range of tree shelters with a larger diameter, designed for shrubs and bushier plants, hedges and trees. The Tubex Shrub shelter Plus protects plants when undertaking tree and shrub planting projects from hares, rabbits and voles, as well as herbicides spraying. 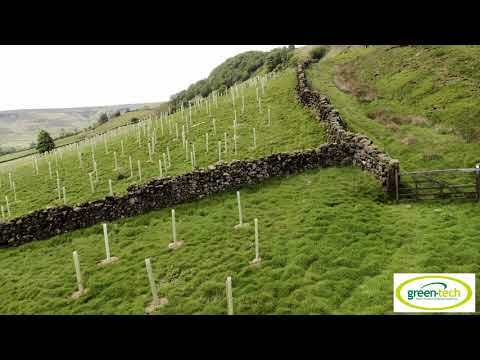 Tubex Shrub shelter Plus also provides a protected micro climate for trees, resulting in better initial establishment and higher survival rates. Tubex Shrub shelter Plus also retains moisture, therefore reducing water stress and helping the plant survive in dry conditions. Tubex Shrub shelter Plus are constructed with a durable twin-wall, and a flared rim to prevent chaffing.